How often are cross-border mergers actually used in European group reorganisations? On 15 December 2007, UK regulations came in force to implement the EU Cross-Border Mergers Directive (2005/56/EC). For the first time, this allowed a UK companies to participate in “true merger” with overseas companies (within the European Economic Area). 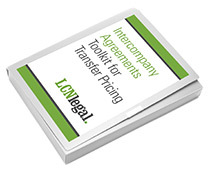 From a legal point of view, one of the advantages of a cross-border merger is that the assets of the transferring companies transfer automatically by operation of law. Despite this advantage, cross-border mergers are relatively infrequent in practice. Not all of these mergers relate to group reorganisations or corporate simplification projects. However, these numbers do give an idea of how common cross-border mergers are in practice. So why are cross-border mergers used so infrequently? One reason is cost. 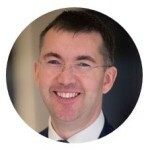 The “relevant authority” in the United Kingdom to approve a merger is the court (the High Court in England & Wales and in Northern Ireland, and the Court of Session in Scotland). Applications to court are required to convene the relevant meetings, to obtain a “pre-merger certificate” in relation to the relevant UK and to “sanction” the merger if the transferee is a UK company. Another reason is employee participation. If “employee participation” arrangements exist in one or more of the merging companies, then these arrangements must be taken into account in the terms of the merger. Broadly speaking, “employee participation” means a right on the part of employees or employee representatives to appoint members of the company’s supervisory or administrative organ. Where this applies, then the new employee participation arrangements for the merged entity can take up to 12 months to establish. Despite these disadvantages, cross-border mergers represent a far more “tried and tested” route than before, and they can be a very useful tool in a group reorganization or corporate simplification project. For more information about how cross-border mergers work, click here.